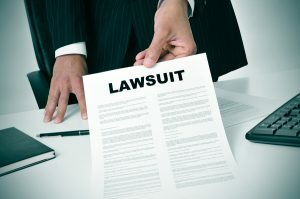 Protecting your business from being sued is an underrated component that every owner must consider. Now, the best type of protection is a combination of honest business ethics, conflict resolution, and common sense. Here are some tips that’ll help keep you on your toes. If you want your customers to be happy, you’ll need to obviously provide adequate business services, but you’ll also need to ensure that they understand your policies in advance. If all of the information in your contract or agreement is littered in technical jargon, hidden, or too long, you’re not helping your business image and customers are likely to complain and even file a suit if they’re already doing business with you. Keep it short. Keep it simple. Keep it clear. By maintaining accurate financial records, you’ll avoid any questioning by legal authorities or by an individual in court claiming financial mismanagement. While it’s obviously time-consuming and redundant in many cases, it’s a crucial aspect of running a business. Large businesses and corporations tend to even voluntarily hire an independent auditor every few years to clear their name. Remember, failure to maintain accurate records could end up leaving you with frozen accounts until you can prove otherwise. Obtaining the right business liability insurance can be a huge asset to you and your team. Yes, insurance is expensive and can be difficult to obtain for many businesses. However, without it, you’re exposing yourself to a plethora of legal risks. A solid insurance policy provides coverage that offers legal defense if you are sued and haven’t broken the law. Remember, the longer you wait to apply for liability insurance, the tougher it’ll be for you to get it. Article submitted by Barry K Rothman. The law offices of Barry K. Rothman can provide solid legal advice and expertise for any business owners, entertainers, and stakeholders in the entertainment industry. Take a look at Barry K. Rothman reviews online to see why he’s so trusted in the industry.